Toronto has and will continue to be a popular location for all stages of life – raising a family, studying at school, and retiring. This beautiful city has a wide variety of neighbourhoods that feature different aspects of community living. There are neighbourhoods close to the water, residential areas, and business hubs for entrepreneurs and students. Rentfaster.ca has recently become available to landlords in Toronto, and it is expected that there will be an increase in the number of rentals available. Currently in Toronto there are 190 home rentals available with an average price of $1,789. 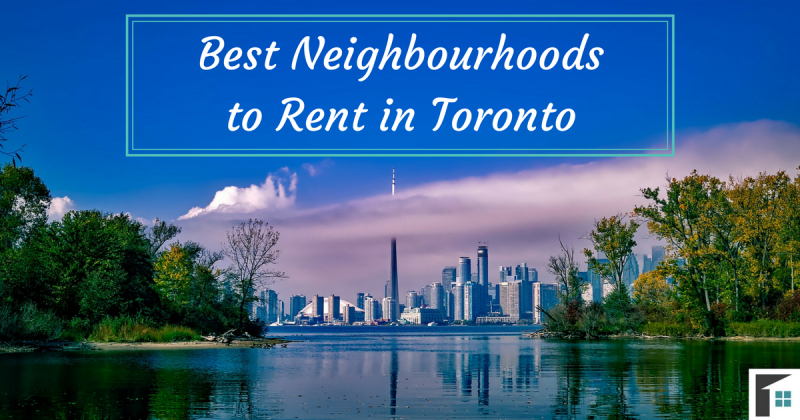 Here are the best neighbourhoods to rent in Toronto and why you would want to live in each! If you are looking for a home to rent in Toronto and are attending the University of Toronto, the Annex neighbourhood is just for you! This neighbourhood is in close proximity to the school, making the commute back and forth for classes easy. The neighbourhood is filled with a number of amenities, restaurants, and fitness options available to residents. As well, there are stunning cafes nearby – perfect for those long study sessions! The Annex Toronto Neighbourhood is a short 10-minute drive downtown (or a 15-minute bus ride). There are currently 8 listings available in this community with an average rental price of $1,744. As Toronto continues to grow, there is increased demand for residential areas – Liberty Village is one of these locations. Filled with condos and apartments, this community is popular for those looking to get away from the busy lifestyle of the downtown core. For those still needing to work downtown, it is only a short 10-minute drive away. If you are looking for things to do in the area, there are a number of cafes, restaurants, and shops to meet your needs without going into city central. This community is one of the more affordable areas with an average listing of $1,671. Currently there are only 4 rentals available in this area, but more are expected to appear. Near the Annex neighbourhood is the Yorkville community of Toronto. This area is known for is bohemian feel and high-end shops and restaurants. Due to the higher end services in this area and its closeness to the downtown hub, this neighbourhood is more expensive to live in. Mainly filled with luxury hotels and beautiful apartment buildings, the availability is limited in this area due to popularity. The Yorkville Toronto neighbourhood currently has 14 listings available on Rentfaster.ca with an average rental price of $2,919. Located in the west of Toronto is the neighbourhood of Bloor West Village. This area is mainly residential and is a popular place for families to settle down. Bloor West Village is within walking distance to one of Toronto’s most popular parks, High Park. High Park is a beautiful green space filled with picnic areas, dog parks, playgrounds, gardens, and even a zoo! The area has two schools (an elementary school and a secondary school) within the neighbourhood limits, and also has all the needed amenities for those living in the area. Currently there are no rental listings available on Rentfaster.ca, but listings are expected to increase. Know anyone renting in the area? Have them add their listing to Rentfaster.ca to… well… rent faster! Ranked the #1 neighbourhood by TorontoLife.com, the Yonge and Eglinton neighbourhood is popular to rent in Toronto. This busy area located farther north of downtown is said to host a number of professional businesses and be the hub for entrepreneurs. The buildings in this area are mainly apartments and condos. The community is said to be one of the busiest in the city, as well as an important transit area. Due to the popularity and high demand of the area, there are currently only 11 rentals available with an average cost of $2,138. If you enjoy the energy of a downtown-like community, then Yonge & Eglinton is just for you! Described as a “midtown” area, this neighbourhood is home to many companies and amenities. The Yonge and St. Clair area was rated the #7 neighbourhood in Toronto by TorontoLife.com. 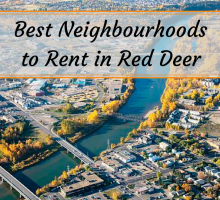 Although not the number one most popular neighbourhood, it is an area that is well maintained and is a great option for those looking for more affordable residence than downtown. The area is also desirable for its beautiful green spaces surrounding the neighbourhood. There are currently 10 rentals available on Rentfaster.ca with an average price of around $2,055. Known for its luxury homes and condo buildings, the York Mills area is highly sought after! The neighbourhood’s history is known for the number of mills that were located within the community that supported the area. The mills were present from 1804 until 1926, but the mills have since been removed. 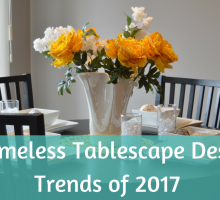 Now in their place is a gorgeous green space and walking paths, as well as over 10 different schools (elementary up to high school) – ideal for younger families. There are 4 available rentals in York Mills with an average rental price of $1,653. If you are looking to rent in Toronto and are seeking a quieter pace of life with affordable living, Scarborough Village is just for you! This neighbourhood, located east of Toronto, is a stunning area that overlooks Lake Ontario and features public waterfront parks. The entire Scarborough area is filled with a wide selection of amenities – from small cafes to international style foods, and shops of every kind. The neighbourhood is 50-minutes away from the downtown center, or a 75-minute bus ride. If you are looking to rent in Toronto, Scarborough Village, there are only 2 rental listings currently available. The average rental price is $1,270. For those students attending the Lambton College, renting in the Henry Farm neighbourhood may be the best option! The community is located just northwest of the Scarborough area and is popular for families as well as students. The Henry Farm neighbourhood is known for their “community spirit” and close-knit neighbourhood layout. There are a number of amenities located just north of the neighbourhood, including the Cadillac Fairview Mall. Rentfaster.ca currently has 3 rental listing available with an average cost of $1,750. If you are looking to rent in Toronto, the neighbourhood of Newtonbrook is an excellent choice! With close access to the Centerpoint Mall (featuring over 80 different shops, and 22 different dining options), as well as plenty of recreational areas. Newtonbrook also has some schools (including Lester B. Pearson) as well as more shopping opportunities along Yonge Street. If you are looking to rent in a neighbourhood with lots to do, look no further than Newtonbrook! There are currently 8 available rentals in the area with an average price of $1,750. Consider these beautiful and accommodating neighbourhoods with homes and apartments in Toronto for rent. Whatever you are looking for, you are bound to find it in one of these! 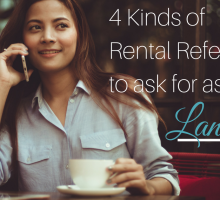 Happy renting!